The pool area has become the focal point for outdoor entertaining. 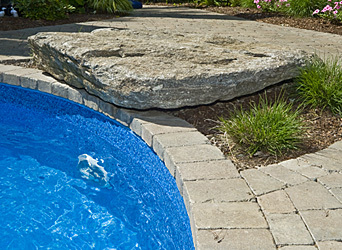 Beauty, safety and comfort are just a few of the many reasons that concrete pavers are the optimal choice for pool surrounds and decks. A broad array of textures, colors, styles and sizes help define the space and allow you to personalize your outdoor living space.